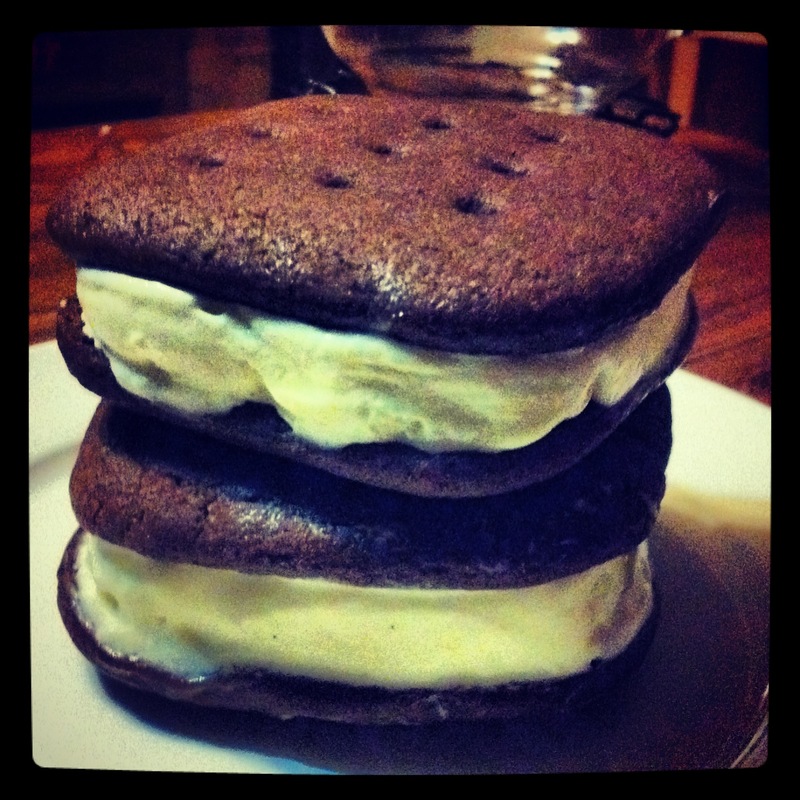 Back together with my ice cream sandwiches! They were so fun to make! It took a lot of time because everything has to be cooked and chilled, but look how cool they turned out! The cookies are much more cookie-like than with store-bought sandwiches and too sweet for my liking, but I can’t wait to make another batch. * You can’t even buy them in Western supermarkets. There is only Haagen-Dazs Crispy Sandwich Ice Cream, which, if you’re American, is not a real ice cream sandwich. There is actually one restaurant that has a peanut butter ice cream sandwich, but I don’t like peanut butter, so I can’t really count it.